What was it Like for Women in Gaol? How were Women Inducted into the Gaol? From the time the Gaol opened in 1841 until women were relocated in 1969, the procedure for admitting them into the Adelaide Gaol differed very little. Prisoners were delivered to the front gate, initially in a horse drawn cart and later in a police vehicle. Once the appropriate paperwork was checked and their belongings stored until their sentence was completed, they would then be searched, medically examined and eventually allocated a cell. Although in the very early days of the gaol women and men shared yards, problems associated with this arrangement quickly became obvious, so separate yards then became the norm. Women were locked in rooms when men delivered wood to the women’s kitchen. The reasoning behind this was to maintain the confidentiality for female prisoners once they were released from the gaol. The first of these (yards) is occupied by women of abounded character, who form nearly one fifth of all females imprisoned, and who are the most troublesome criminals to manage. On entering the door which shuts off their quarter from the rest of the prison world, the visitor steps into a yard which spreads out before him, with a two-storied building for dogmatics on the right hand side and working rooms for day use on the left. In these day rooms the prisoners pick oakum during most of the working hours, at which monotonous occupation they seem miserable enough. But the whole of the washing in the Gaol is also done by the female prisoners and when unoccupied they are allowed to read or walk in the yard. The sleeping places in this part of the prison consist of a separate cell for each prisoner, with wooden benches for bedstead. These benches are made of deal, on account of softness. It being said, for the bedding allowed by the prison discipline is easily rolled up during the day. The dormitories are whitewashed every three to four weeks. The other apartments in this yard are those used for cooking and cleaning purposes. Thus, the division is complete in itself, and the description which applies to this maybe also given of the next yard, which is occupied by females not known to be of abounded habits. But there seems to be a deficiency in the second yard, which is not felt in the first, this is, the absence of any proper means for keeping prisoners merely committed apart from those who have been tried and convicted. At present not much trouble is experienced in this matter, as there are only nine prisoners in the yard, so that in the event of one being committed for the first time who should be unable to get bail there would be little difficulty in finding a separate day apartment for her. But her walk in the yard would have to be restricted even at present, and in the case of prisoners becoming more numerous there would still be less opportunity of keeping untried female prisoners apart from old offenders. This appears to be one of the greatest deficiencies in the building, and though no evil may be felt from it at the present moment it ought to be rectified. There is plenty of room for further classification, but a little more building is required. There is one female turnkey. The following are the trades and occupations of females: 1 dealer, 16 housewives, 1 lodging housekeeper, 2 hairdressers, 79 prostitutes, 4 seamstresses, 22 servants, total females (for year) 123. What was the Schedule and Routine in the Adelaide Gaol? A day for the women incarcerated in the Gaol would begin with the Matron and an officer opening cells around 7.30 am. Prisoners were required to have their cells neat and tidy and ready for inspection before breakfast was served in their cells around 8 am. As was the situation in the gaol well into the 1970s, there was no plumbing to cells, hence the first order of business for the day was the unsavoury task of emptying the night buckets into designated units in the yards. Women with roles in the laundry and kitchens were normally let out of their cells ahead of other prisoners. After breakfast the women began their assigned morning duties before lunch in their cells around 1 pm. In the afternoon time was made available to any prisoner wishing to see the Matron on any issue they may have before cell lock down time at 4 pm. As with the earlier meals, dinner was also taken in the cells right up until the 1960s after which food was distributed to women in the dining room. The dining room also doubled as a work room and also a place to hold church services. Craft classes were held there too by ladies visiting from some of the charitable organisations e.g. the Women’s Christian Temperance League, sisters from the Catholic church and prison aid ladies. In the 1800s bathing was carried out in a thick slate slab bath in an open courtyard, however this situation was much improved in the 1960s when a bathroom came into use with a regular roster whereby women were permitted to bath up to twice a week. Washbowls were provided in the cells for women to use during the night. Primarily due to the assumption of the low intellectual level of the prisoners, education for females was not an organised activity, however correspondence courses were sponsored for a time in the 1930s. A selection of books was available from the gaol library and if approved, requests for specific titles could be made to the State Library. What Jobs Could Women do in the Adelaide Gaol? Of course boredom is a huge issue in any gaol where “doing time” is seemingly endless. Some relished being allocated to different jobs within the gaol, although acceptance for some was more difficult depending on the particular task they were required to do. One woman’s desire to provide Christmas gifts for her children led to the start of a cottage industry in toy making. Officers sometimes brought in scraps of material for prisoners to fashion into dolls and golliwogs. Also a professional toy maker, himself imprisoned in Yatala Labour Prison at the time, came to the gaol to instruct women on how to make toys. Not only were there enough toys produced for the prisoner’s own children, but they were also able to supply any surplus to the Salvation Army. This eventually grew into the Yatala Toy Fair which ran for many years. Mending was a job of necessity in the gaol and this normally consisted of mending the male prisoners’ white moleskins. Operating sheets for the Adelaide Hospital were also made on the two sewing machines in the gaol, however this pursuit was short-lived. The usual domestic task of cleaning revolved around the scrubbing of the slate veranda floors and also the polishing of the wooden floors in some of the cells. These jobs were required to be done on a daily basis. Up until the 1960s laundry was done in a copper with water being heated by a fire beneath it. This practice continued until eventually an industrial washing machine was brought into service. The female prisoners washed the Gaol’s bed linen, uniforms, mountains of sheets and night wear. Until the women were transferred to Northfield Rehabilitation Centre, men and women worked in the laundry room together. Oakum picking was a laborious and often painful job that some women had to endure without the benefit of tools or any protection for the fingers. This practice was introduced into London prisons as a punishment for men in 1840. Oakum is loose fibres obtained by unpicking old ropes which were sold to the navy or other shipbuilders – it was mixed with tar and used for sealing the lining of wooden ships. The oakum picked in Adelaide Gaol was used at times for stuffing mattresses for the Royal Adelaide Hospital. What did Women Wear in the Adelaide Gaol? Initially in 1841 women in the gaol wore their own clothing. Between 1840 and the 1920s they were supplied with a uniform, although not necessarily required to wear it. This uniform consisted of a long blue skirt and jacket, heavy shoes and thick stockings. From the 1920s through to the 1960s the uniform was a full-skirted dull blue frock, with a sunbonnet, white cotton stockings and black boots. A later version of the blue frock was made in a coat style by the Yatala Labour Prison tailors, worn with a hat to match, plus fawn stockings and tan shoes. From the 1960s women wore a blue dress with a four gored skirt buttoned down the centre. There were white hats provided for summer and blue for winter. Keeping abreast of fashion, in the ‘60s the style of uniform was changed to a mini. At this time the Department of Corrections introduced a leisure time dress for female prisoners. They were permitted to change after completing their daily chores and also wear it on special days. The style of these dresses was at the women’s discretion. The Women’s Christian Temperance Union supplied women with material to make underclothes which they were able to take with them when they were released. It was believed that this contributed to a sense of dignity and self esteem as they moved back into the general population. What Were the Rules for Women in the Adelaide Gaol? The following are a sample of some of the dictates which were applied to female prisoners. Where females are confined, the yards, workrooms, wards, cells, hospitals and other buildings for the use of such female prisoners shall be separate from those for the males, and shall be fitted with locks requiring different keys from those in other parts of the gaol. The keys of any portion of the gaol allotted to females shall be kept in the custody of the gaoler or matron, who shall permit no male officer to enter the female division, except in her company or the company of a female officer. Female prisoners shall be searched by female officers, and shall at all times be in the charge of female officers. In other respects the same course shall be pursued in reference to the admission, removal, or discharge of a female prisoner as in the case of a male. Female prisoners shall be supplied with the prison dress. They shall keep their hair tidy, clean and well combed. The matron shall be responsible for the bathing and cleanliness of the prisoners and for the proper conditions and sufficiency of their clothing. Female prisoners shall not have their hair cut without their consent, unless in the interests of health. In such cases the direction of the medical officer shall be obtained. Female prisoners shall in all cases be attended by female officers. When did Conditions Improve for Women in the Adelaide Gaol? In 1939, women from the Women's Non-Party Association called a meeting with other women associations to put forward reforms to improve the conditions that women were experiencing in Gaol. Women should be allowed to have their meals together and be permitted to converse. Recreational facilities should be provided. Women should be given a better balanced diet. Mrs McGregor Souter had been appalled at what she saw to be an ill-balanced diet. The women were apparently getting a 1 lb of meat and a 1 lb potatoes and vegetables for lunch each day but only some boiled rice for breakfast and hard bread and water for the evening meal each day. She also saw it inhumane and unreasonable to segregate women at mealtimes. Over the years, the conditions for women inmates improved before finally they were relocated to Womens Rehabilitation Centre in Northfield in 1969. 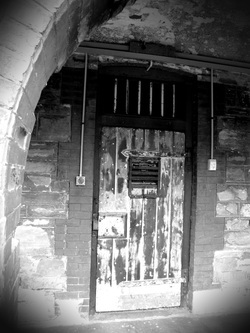 The Adelaide Gaol then remained for another 19 years as a male only prison.